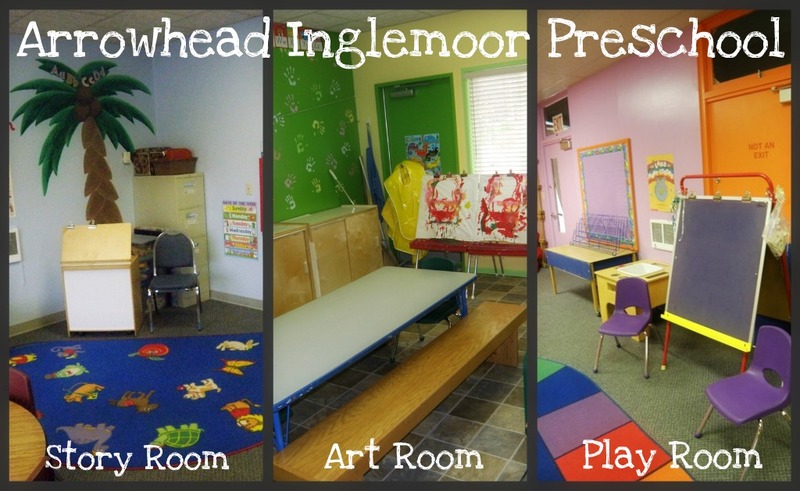 Arrowhead Inglemoor Preschool is a ministry of Epiphany Lutheran Church serving our members and the community with quality early childhood education for children ages three, four and five. Our preschool has been housed at Epiphany for almost 40 years! Class sizes remain small at a ratio of 10 children to one teacher per class. An aide is available to assist wherever they are needed. You are invited to call the preschool office (425)488-9800 or e-mail the director, Janis Armfield, at janis@epiphanyonline.org to make an appointment to visit our school. We strive to make your child's first school experience a pleasant and memorable one! Our teachers are characterized by their commitment to and love for children and have been on staff for many years. Their goal is to provide a loving Christian environment where children know they are special and safe. Preschool classes for younger children are held on Tuesday and Thursday mornings from 9:15am to 11:30am. Children need to have turned three by August 31. Children should be potty trained. Pre-kindergarten classes are held on Monday, Wednesday and Friday mornings from 9:15am to 11:45am. Children need to have turned four by August 31. The 5's class is Monday, Tuesday, Wednesday and Thursday mornings from 9:15am-11:45am. Children need to have turned five by August 31. We also offer Extended Care for the Pre-K and Fives on Mondays and Wednesdays from 11:45am to 1:15pm. Children should bring their own lunch. Please click here for AIPS Brochure. Please click here to view the Parent Handbook for more information about our preschool. Please click here to access the 2019-2020 Class Schedule/Fees Hand-out. Registration Fee: $75 Please click here to access the Application Form. In the Art Room we learn to paint with brushes, marbles, cookie cutters and even our fingers! We learn proper use of glue, markers, scissors, stencils, stamps, and a variety of other materials. Some of what we do is experiential...such as using different kinds of paint, play dough and clay. We like to enjoy a media in terms of what it can do, what it smells like or what it feels like. We believe that the process of working with a material is more important than the product that is made. We love to do activities that develop the child’s creativity and imagination. Some activities involve listening and following directions as we use art materials. Often our “projects” enhance vocabulary and awareness as we introduce colors, numbers, shapes, and letters. During “free choice”, the children are involved in making choices, sharing, and cooperating. Our large “rice table” engages their senses and teaches basis concepts related to science and math such as measuring and pouring. In the Story Room we learn to listen, sit still (for short periods of time, of course! ), and learn new vocabulary and information connected to the topic of discussion. We learn to take turns talking, to cooperate and be considerate of the needs of others. Our block area has unit blocks and accessories to learn spatial concepts and pre-math skills. During free choice we have manipulative toys and activities to help develop the small muscles needed for future writing. Our cognitive and fine motor skills are exercised with puzzles, games, small toys and Legos. We also enjoy looking at books and having them read to us. With our Pre-K children, we introduce a new letter each week with an emphasis on its” phonetic sound and how to “say” the letter in Sign Language. We teach and incorporate American Sign Language into our lessons and music. Skill sheets are available to Pre-K children who are interested in doing worksheets. Play stretches the attention span and imagination. It builds vocabulary and challenges the child to organize ideas, to think, and share. In the Play Room we have the use of a wide variety of playthings: building with blocks, play house or grocery store, cars and trucks, dress up clothes, dolls and doll houses, pretend telephones and computers, Fisher Price toys, matchbox cars, hammers and tools! We also enjoy group activities such as circle games, dancing and moving to music. We like to climb on the indoor climber, run an obstacle course, play with the parachute and jump on the trampolines! Weather permitting, we play outside on the playground, play with side walk chalk, shoot baskets and even ride bikes! Play time is when we build the language and social skills involved in making friends and settling disputes. At the same time we are building our large muscles and coordination. Music is a very important part of our program. Music is the language of children. It is used for lining up, transitions, clean up time, teaching concepts and for pure enjoyment. We always end our preschool day with a fifteen minute music session together in the Play Room.